Complete the form to apply to the Salsa Ithaca Street Team. Do you love Latin culture, music and dance, or dance in general, and are trying to learn more? Are you a student who could use some experience/hours? Just want to help out and get some bonus freebies? Check out the requirements to see how you can help us and what we can do for you. Hang flyers in some of our many locations around town. “Like” Salsa Ithaca on Facebook and invite your friends. 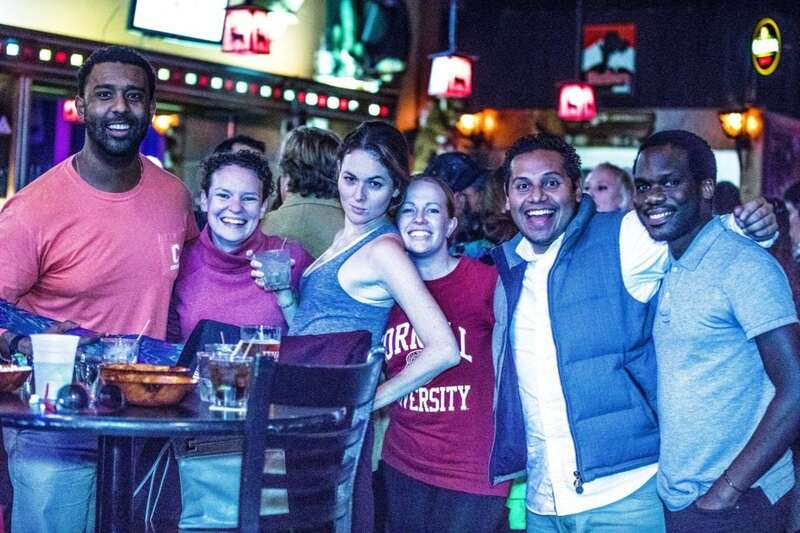 Bring out friends to our events and have a great time. Mark “Going” on our Facebook events and tag your friends so they can join us and do the same. Videography, photography and social media engagement. Fill out a weekly debriefing form that we provide to let us know how you helped. Got other ideas on how you can contribute? Fill fill out the form and let us know! We’d love to add you to our team and, together, bring dance to people’s lives. Take free music and dance lessons, learning from our amazing teachers in the area. Possibility of free lessons with partnering dance groups in hip-hop and other genres. Attend all Salsa Ithaca parties and concerts for free, and sometimes receive a complimentary drink. Opportunity for credit or community service hours via your college, school or organization. Join one of our dance teams, upon ‘level placement’ audition, to enhance your skills, have more fun and perform. Valuable experience and knowledge you can carry on to jobs and related fields. References available.